In May, Our West End Neighbourhood Renewal in partnership with the Windsor-Essex Community Garden Collective and the Change The World Program launched the Bridgeview neighbourhood’s first community garden in South Merritt park. A community garden is a place where neighbours come together to learn gardening skills and to grow their own food. Throughout the summer Our West End and its’ partners will be hosting a variety of activities in the garden as well as encouraging everyone in in our community to come out and take part in maintaining and growing the garden. Contact us at oweinfo@lifeafterfifty.ca for more information on how to participate. 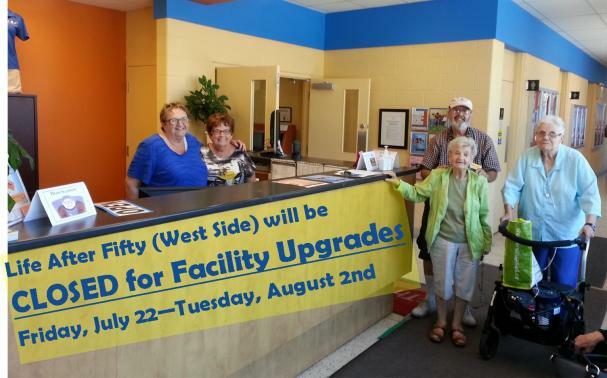 The West Side Centre will be closed for facility upgrades the last week of July.